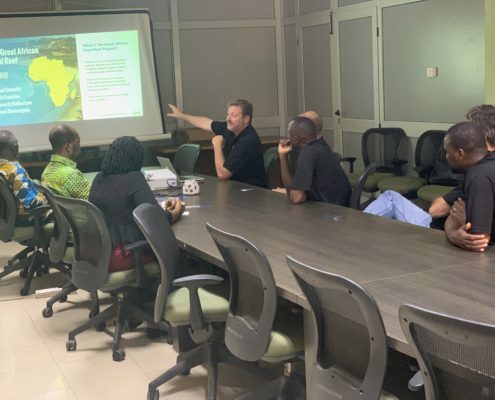 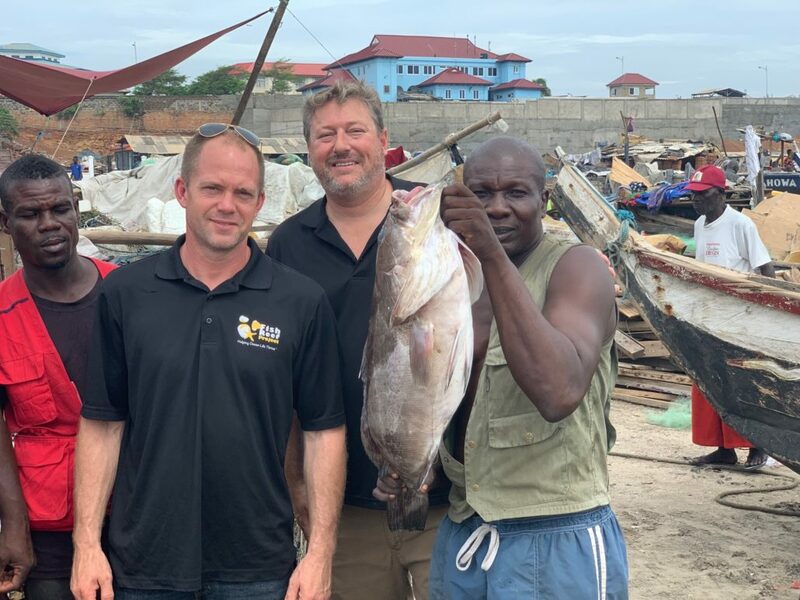 On our latest visit to Ghana, our team worked on finalizing the framework for a substantial portion of the Great African Food Reef. 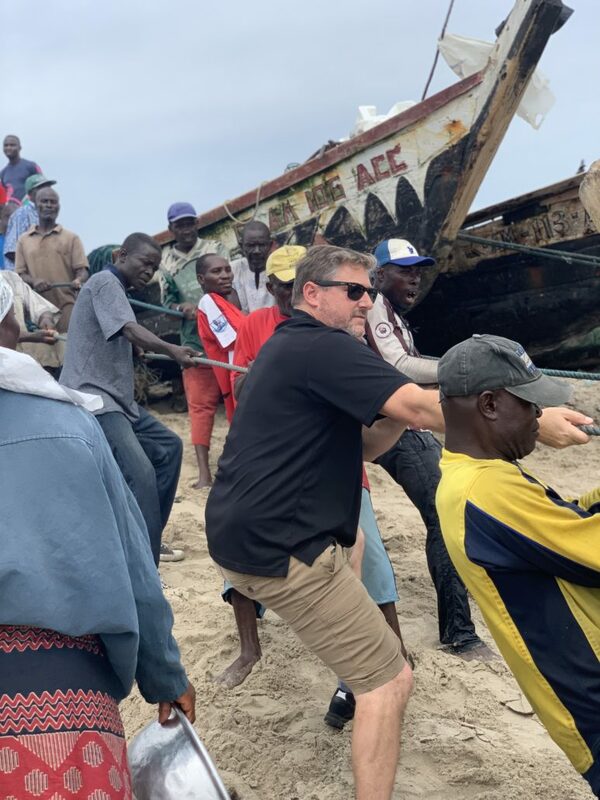 We met with hundreds of fishermen, government ministries and regular folks. 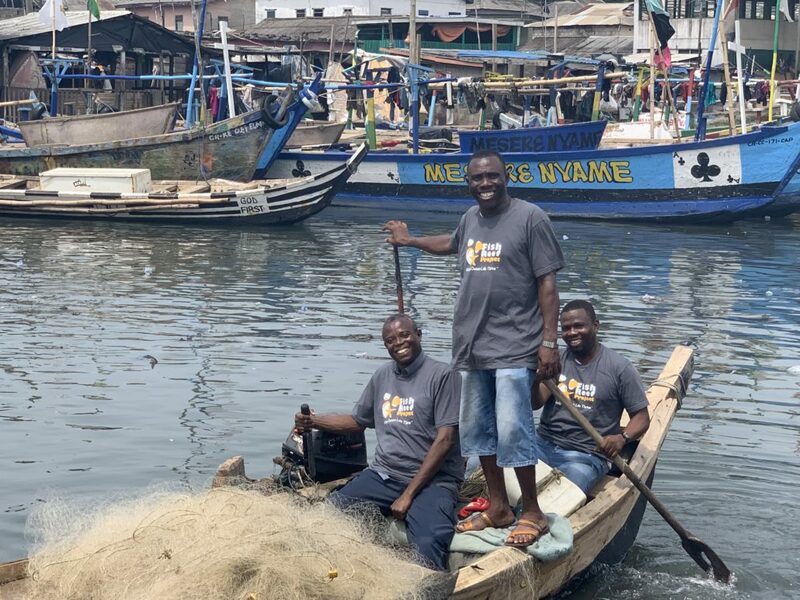 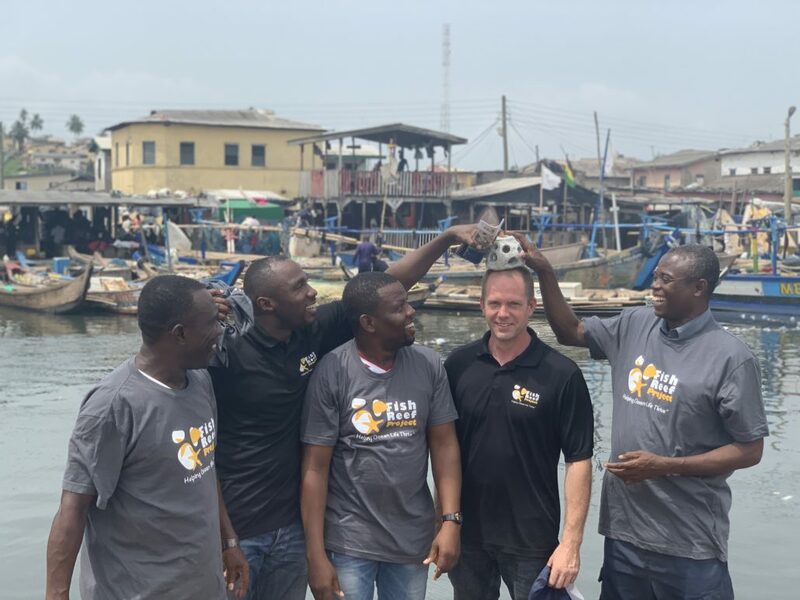 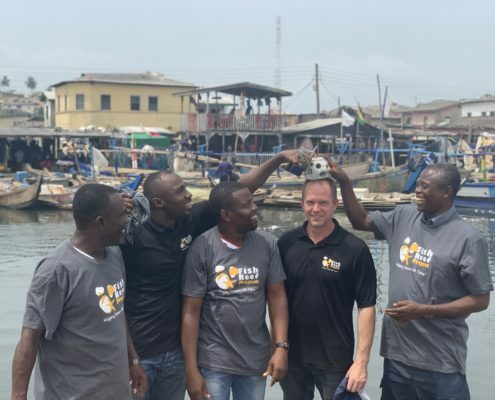 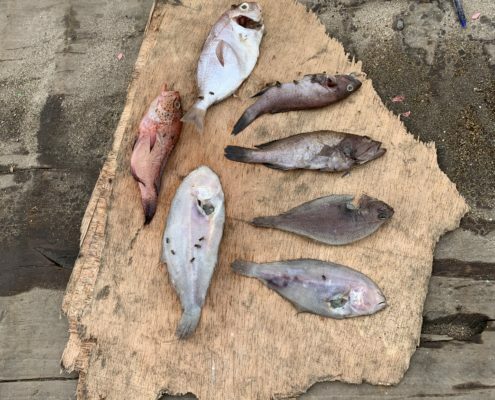 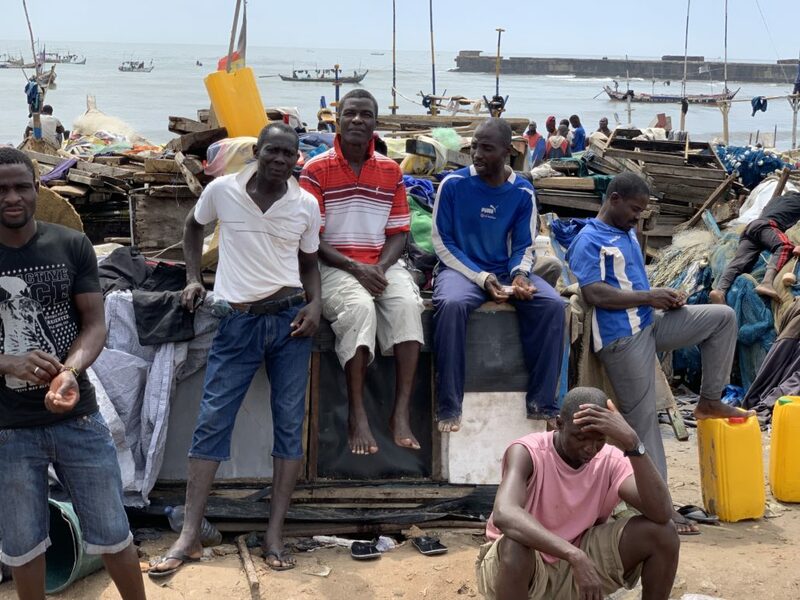 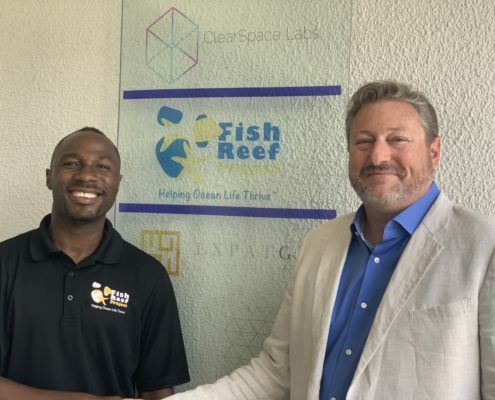 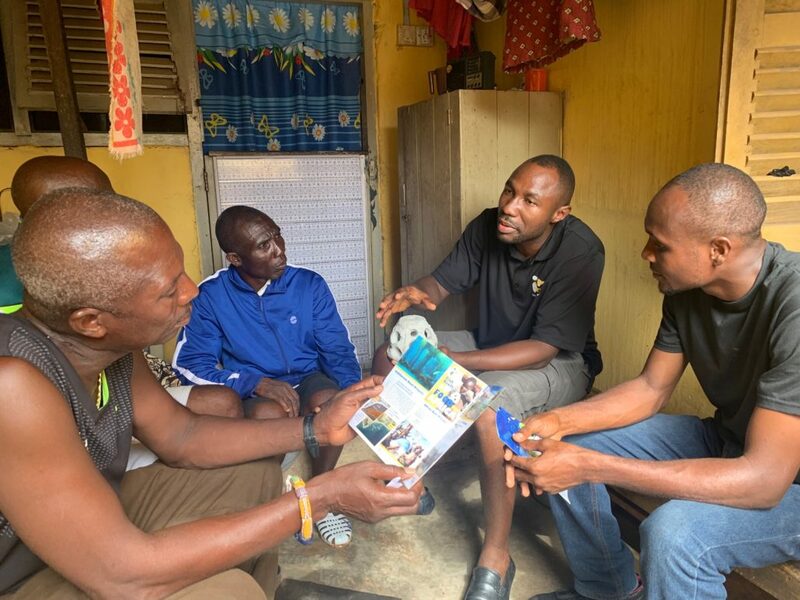 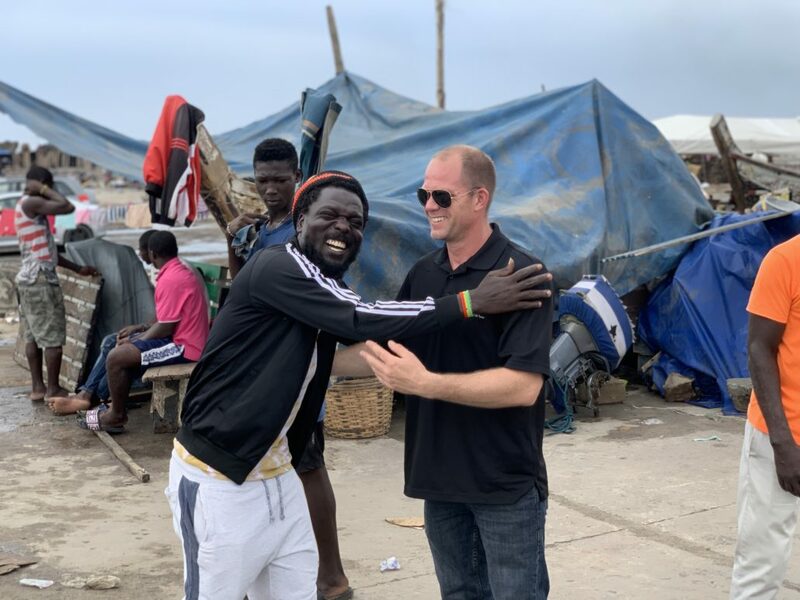 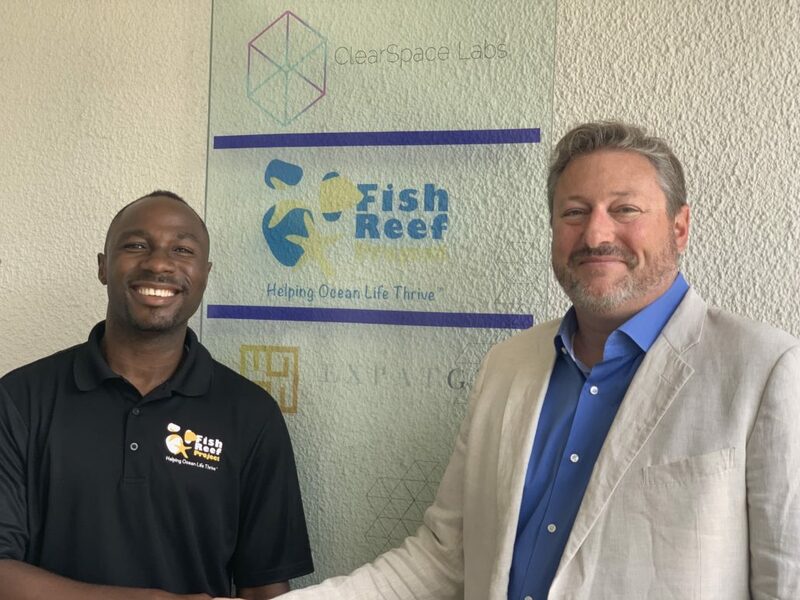 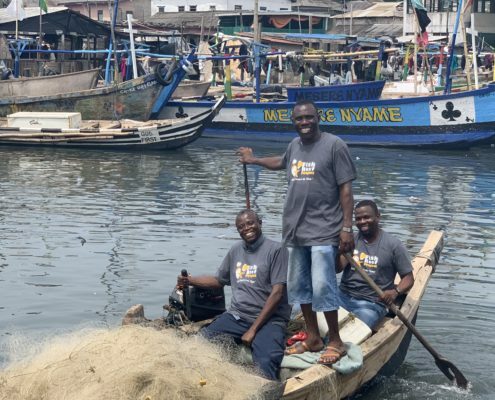 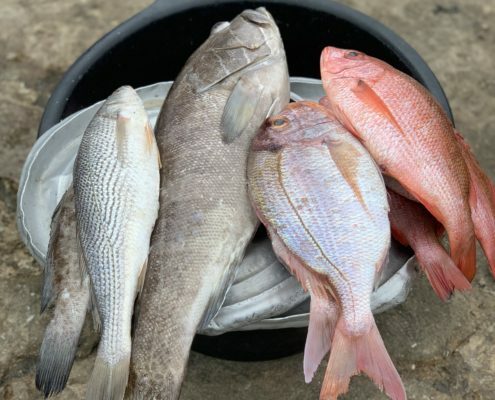 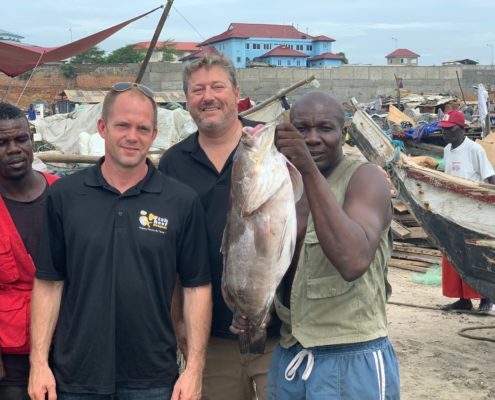 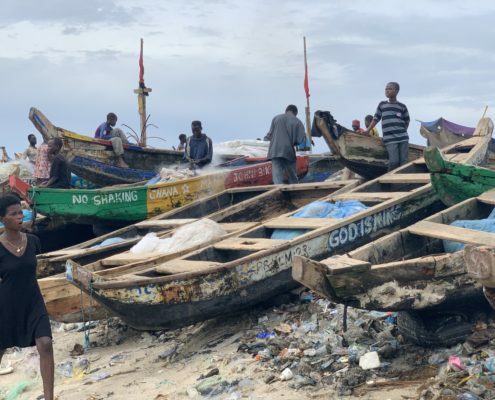 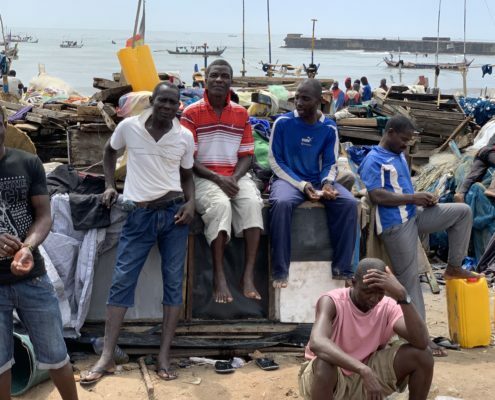 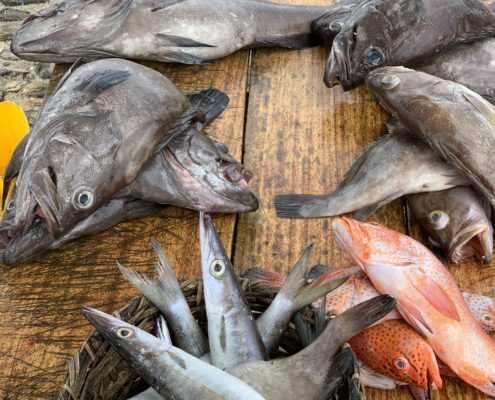 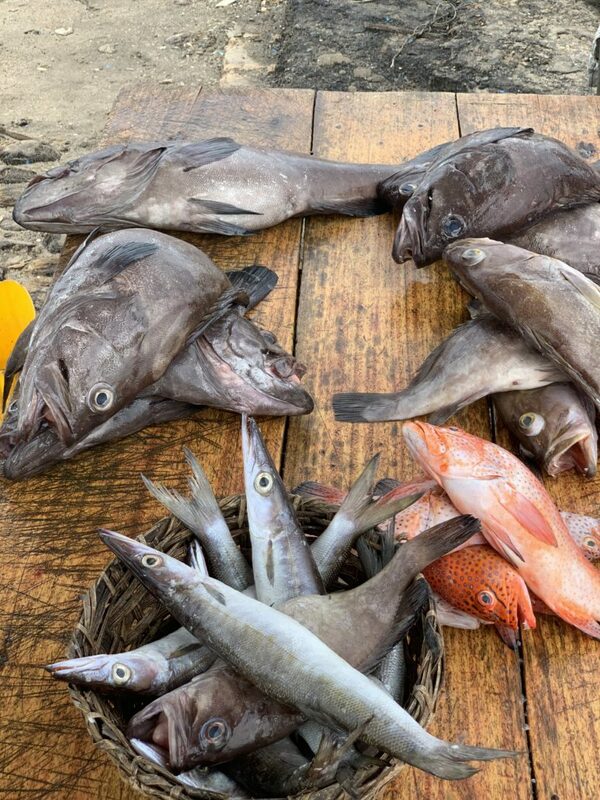 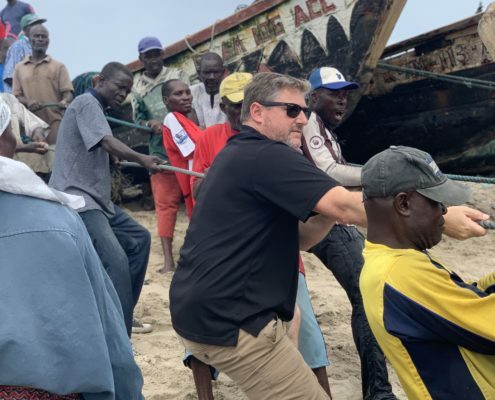 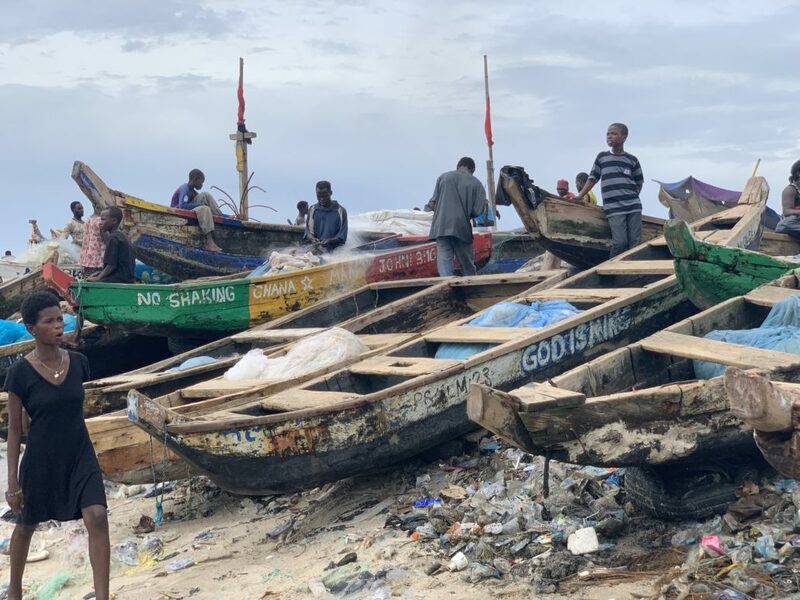 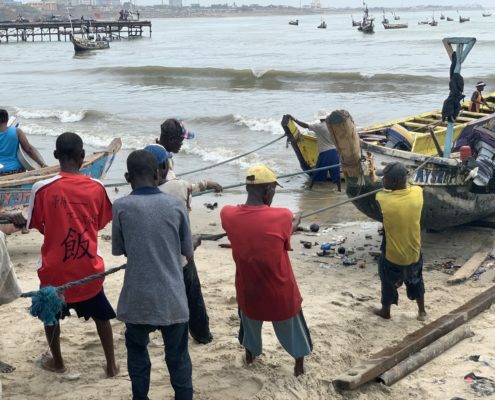 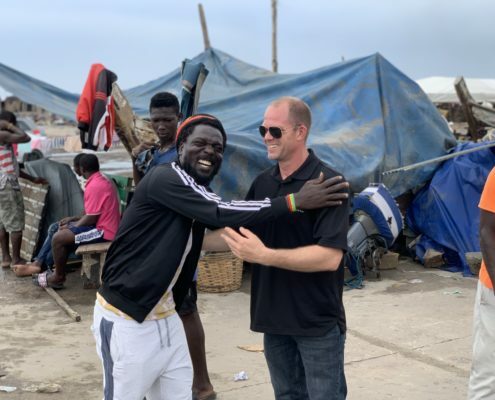 Everyone is excited to see that the Fish Reef Project will soon be deploying thousands of reefs units off of Ghana’s coast to help stimulate their local fisheries. 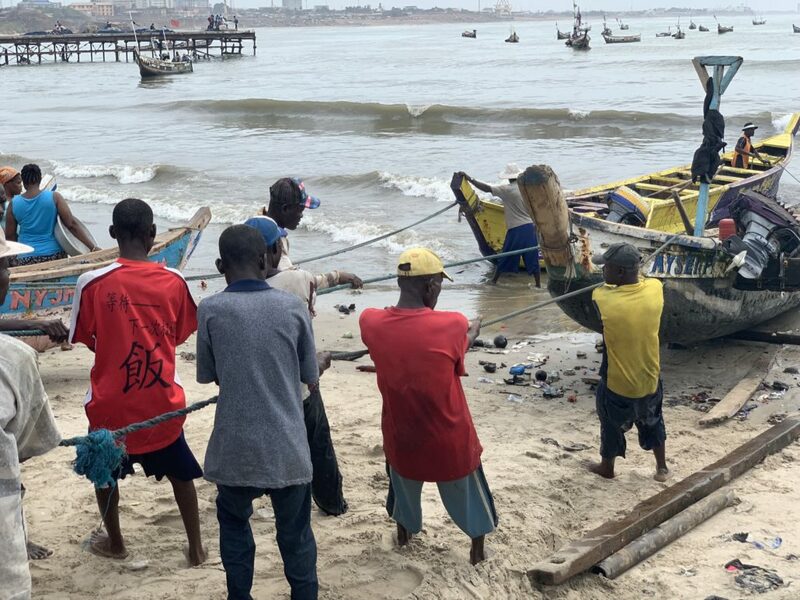 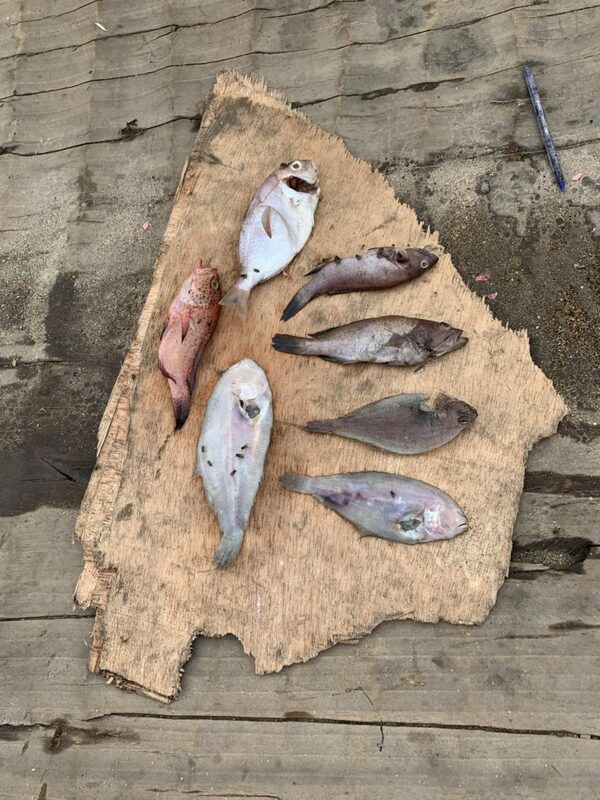 Fishing in Ghana is a communal affair, typically about five men set to sea for up to a week. 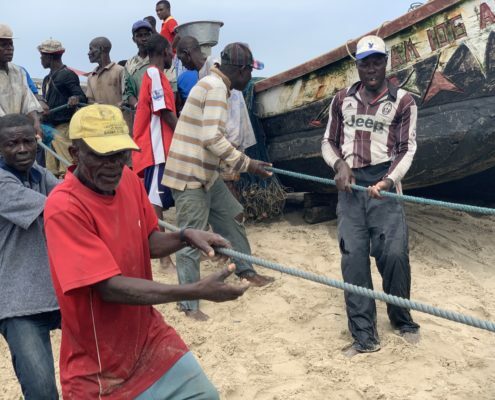 They take their forty foot canoes far offshore. 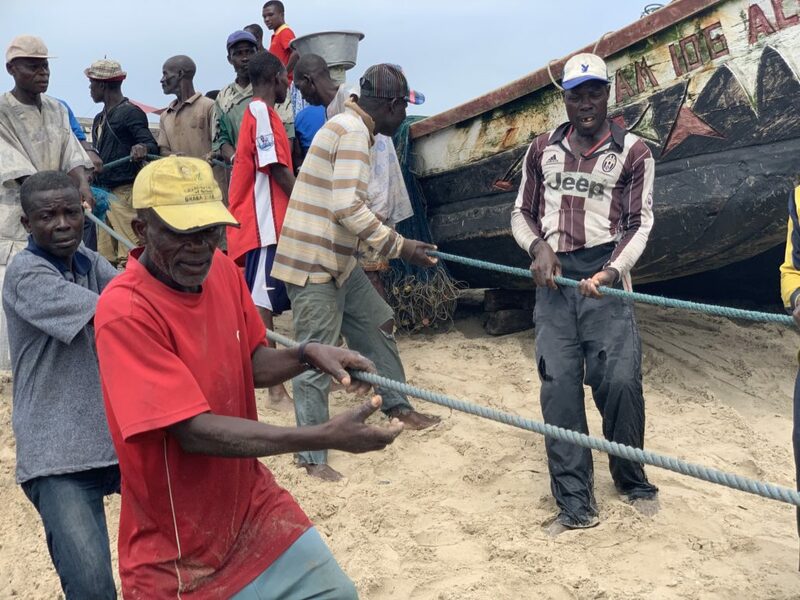 The canoes are made from a single tree and hold the nets, hooks, fish, food, gasoline and everything else needed for the extended voyage. 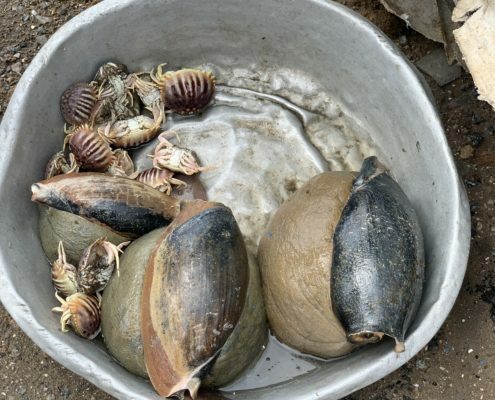 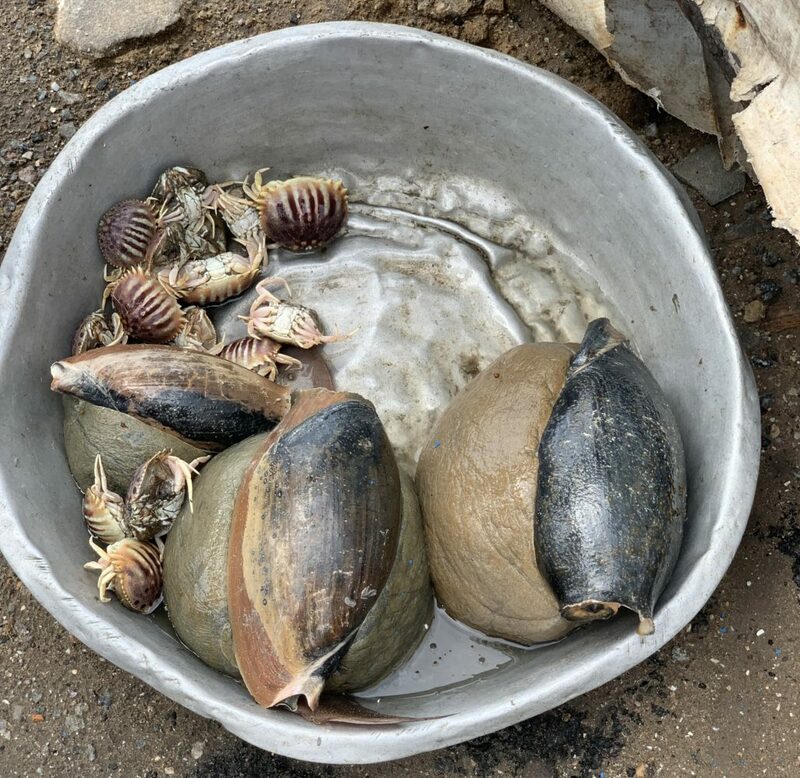 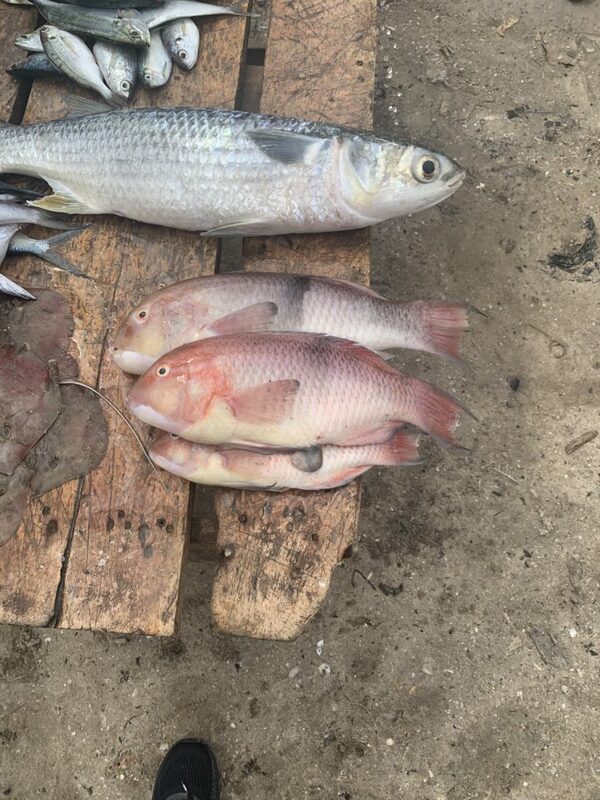 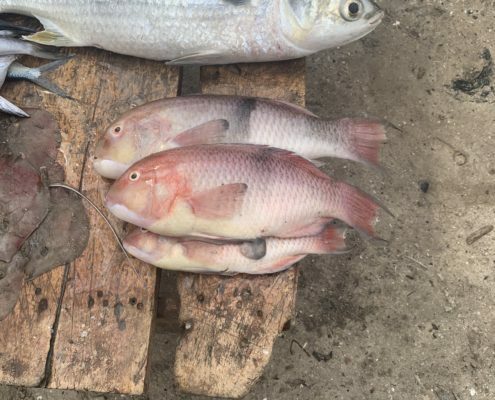 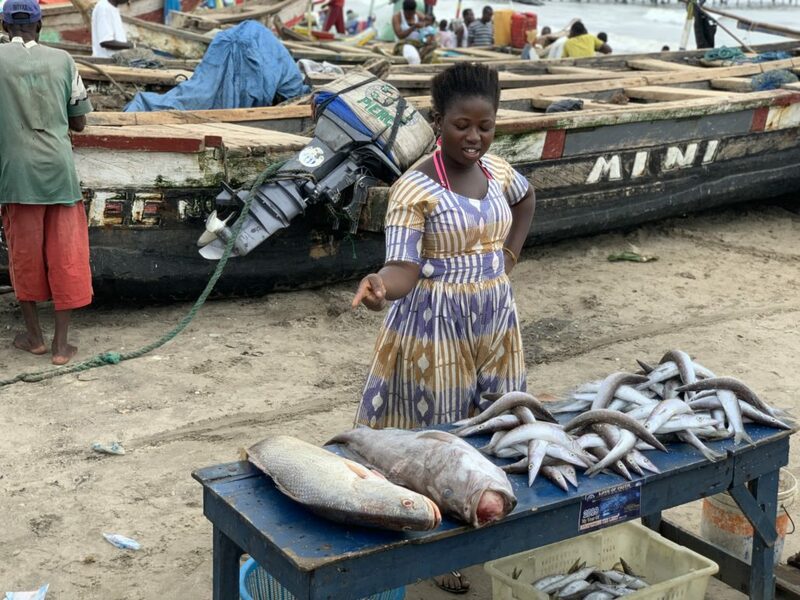 In 2010 the fish landings started to decline putting the thousands fo fishing families and the local Ghanians in jeopardy as 65% of the nation’s protein comes from fish. 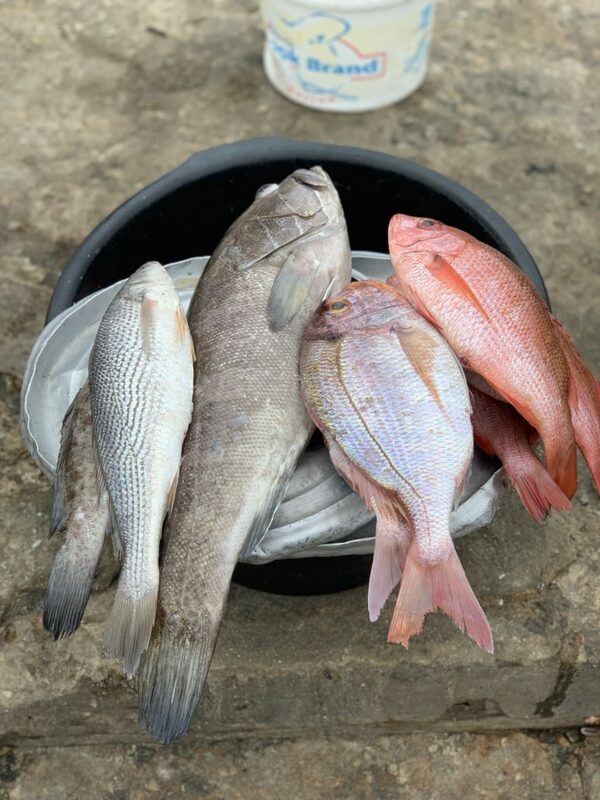 By adding reef units, we can stimulate fish populations and allow the fishermen to stay closer to shore. 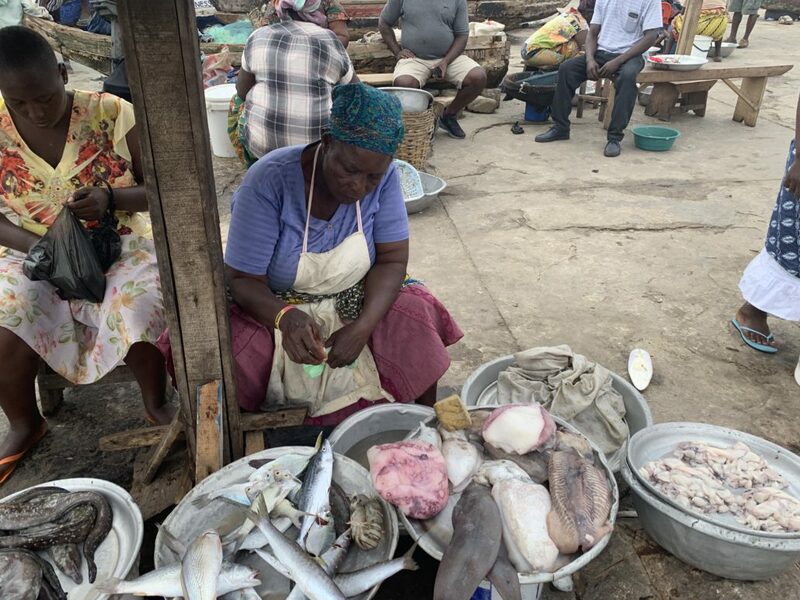 When the men return from their voyages then women step in and take control of the catch- often times wives can be seen buying fish directly from their husbands. 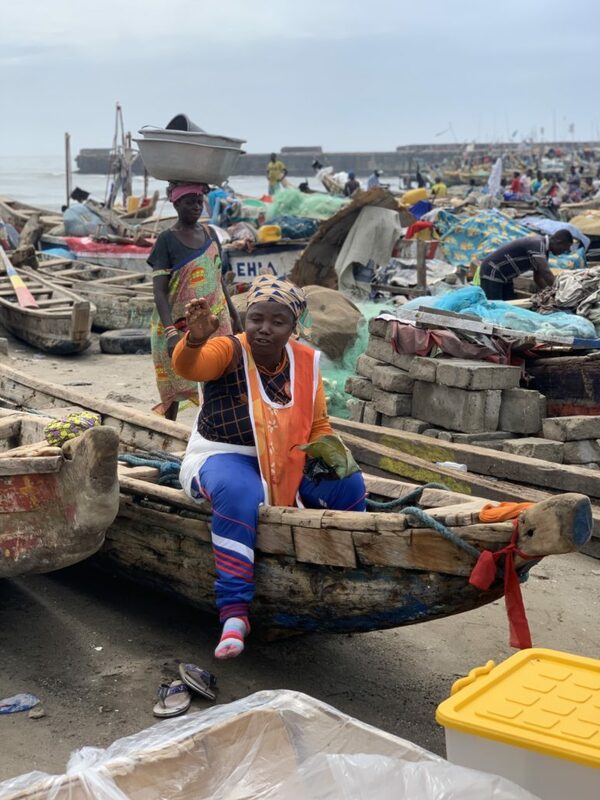 The women then distribute and sell the fish, while managing all of the money in a manner that allows the men to enjoy their shore leave but also holding enough back to ensure that the men have enough cash for gas and food for the next voyage. 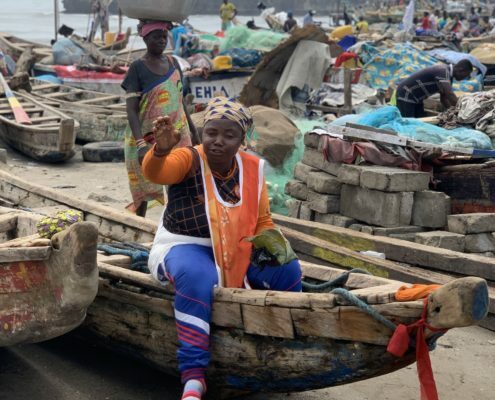 In this way women are the backbone of the entire fishing industry and they look after the nation’s marine protein needs. 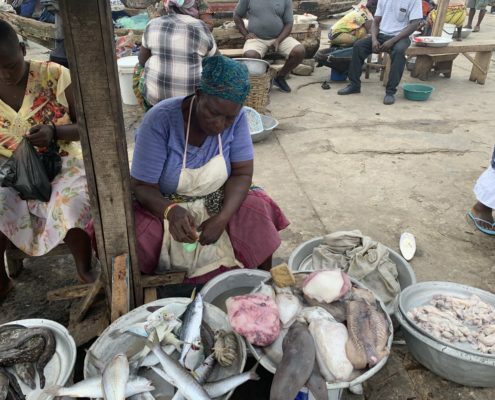 We would like to highlight the amazing women fish mongers of Ghana as they are unsung heroes that go about their daily duties managing money, equipment and seafood distribution – this is an excellent example of an existing state fo female empowerment that nobody handed to the women of Ghana, it simply evolved on its own and is a perfect example of men and women working in ideal harmony. 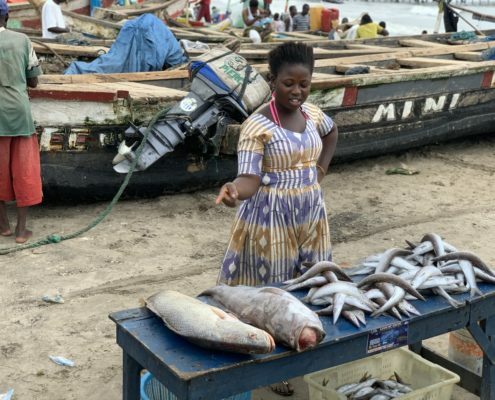 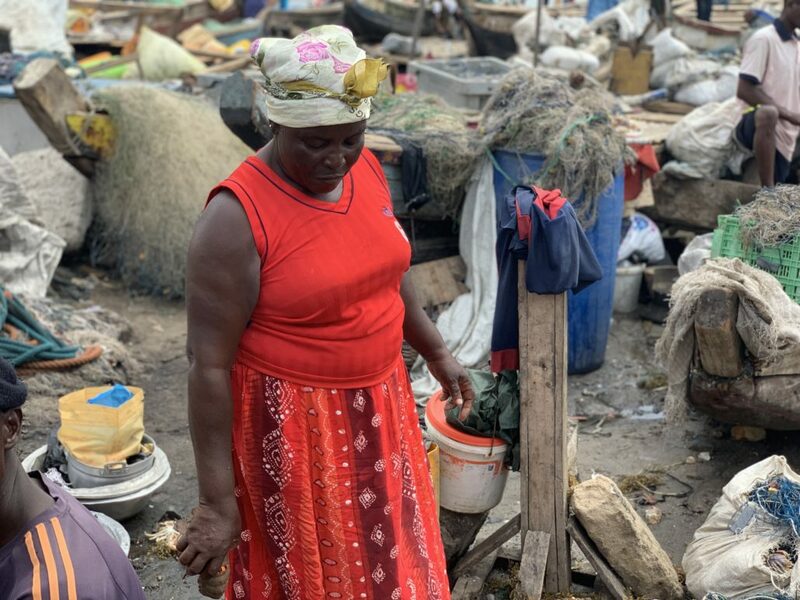 When the Fish Reef Project deploys the many new reefs off Ghana, it will help safeguard the women’s vital role that is played in an industry that is a lifeline for food and employment for millions of West Africans.